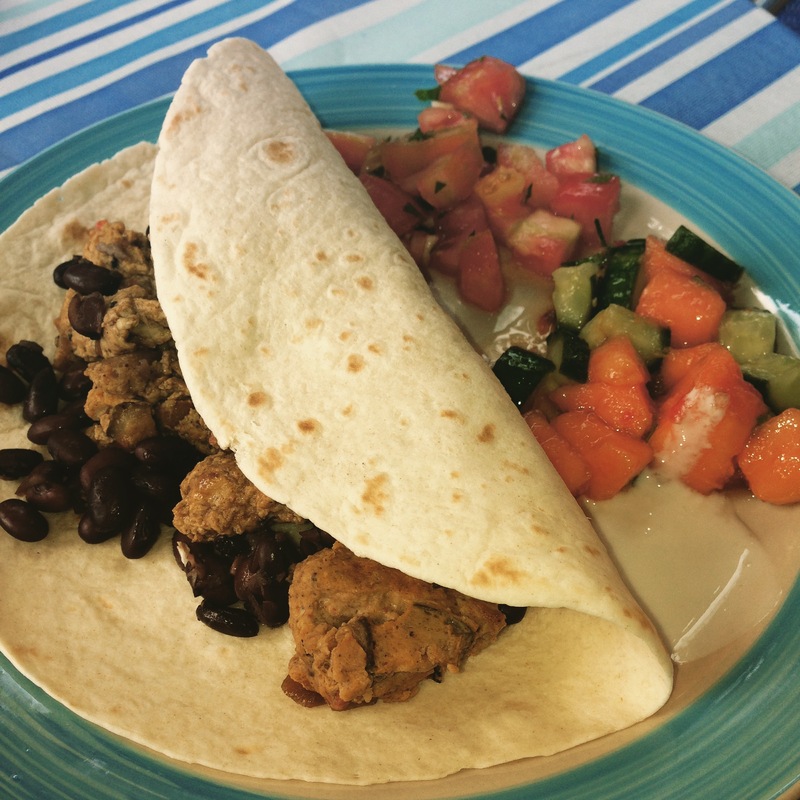 A Week in Panamá – eating my way through Charm City! To be fair, I spent most of my trip on the gorgeous islands of Bocas Del Toro and had a fantastic private chef cooking most of my meals as it was included in my Bikram Yoga and Surf Retreat. Erin isn’t a native of Bocas, and actually is a masseuse and esthetician. Her massages are even better than the food. Every meal was healthy, yet filling. Did you know that papaya and cucumber were meant to be together in a salad? I do now. How you cook all those flavors for 10 people at once and keep everything fresh and light is beyond me. I guess that is why i do more eating than cooking. Nevertheless, there are some places you should go if you can’t a chance. First off, get to Bocas. Stay on Isla Carenero. We had delicious food and the island should also not be missed. Bibi’s on the Beach has a great view and an insane ceviche. They take a wheel barrow to grab the fresh pineapple for the pineapple juice and mixed drinks. The coconut comes right of the tree next to the restaurant. We all shared the ceviche – we probably should have had one plate each. Red snapper, some octopus, papaya, and pineapple with tart flavorful lime. Plus, it comes with the friend plantain chips. Oh, and while we were sitting there, a couple came off the boat, descaled a huge red snapper. Next, they covered it with lime juice and wrapped it in foil. They dug a small hole, lit a fire and “grilled” it on the beach. Welcome to Panamá! I am still dreaming of that ceviche. I also loved dinner at El Ultimo Refugio. This really is the Ultimate Refuge. we had dinner here late, so I didn’t get that much to eat. I had the appetizer gnocchi and split the appetizer surf and turf. They even shaped the rice into a lobster. The surf was little better than the turf; as the beef was a little over cooked. I was lucky enough to taste their filet with mashed potatoes. They serve the tender meat with a gorgonzola cheese sauce and top it with fried onions. So good, I would eat that any day – well, except at 9pm after a long long day. Manolo Caracol – this place was fantastic. It is a little pricey compared to what you can find eating in Panama, but a steal given the quality and quantity of food. Plus, the experience. I love it when the chef makes the decisions based on what looks good for the day and I don’t have to think about anything other than wine. We had an 8 course meal – and they didn’t skimp on the portions. I wish I had a picture of the decor – they had a huge cabinet with wine bottle and glass cut outs. The cabinet was full or corks. 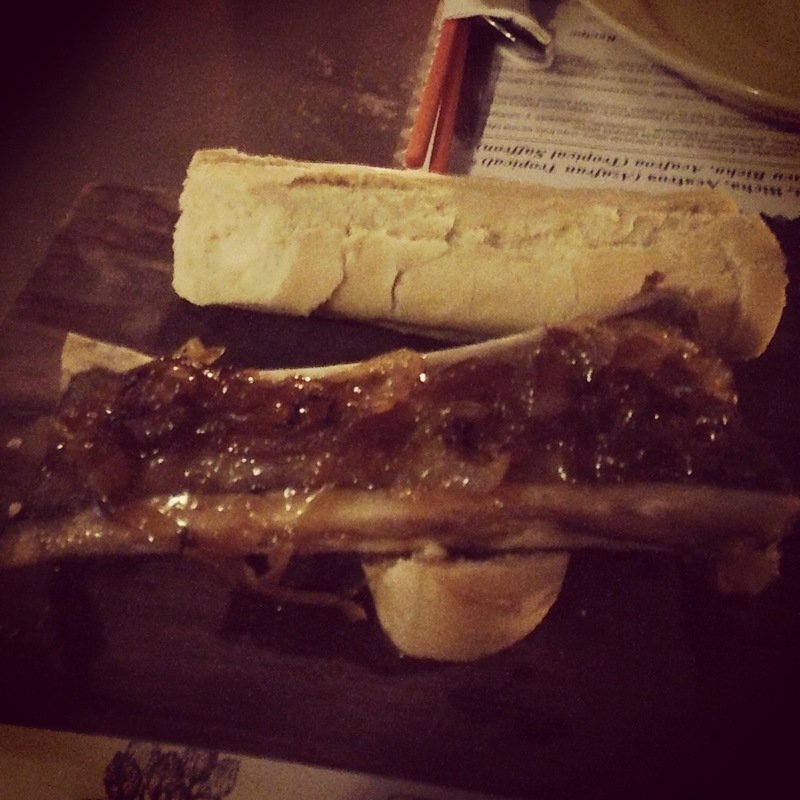 We started with this huge plate of bone marrow topped with carmelized onions and house made bread. It was the sweet onions really paired well with the salty marrow. A great start to a great week. There was a carrot soup, some grilled shrimp, octopus and eggplant. 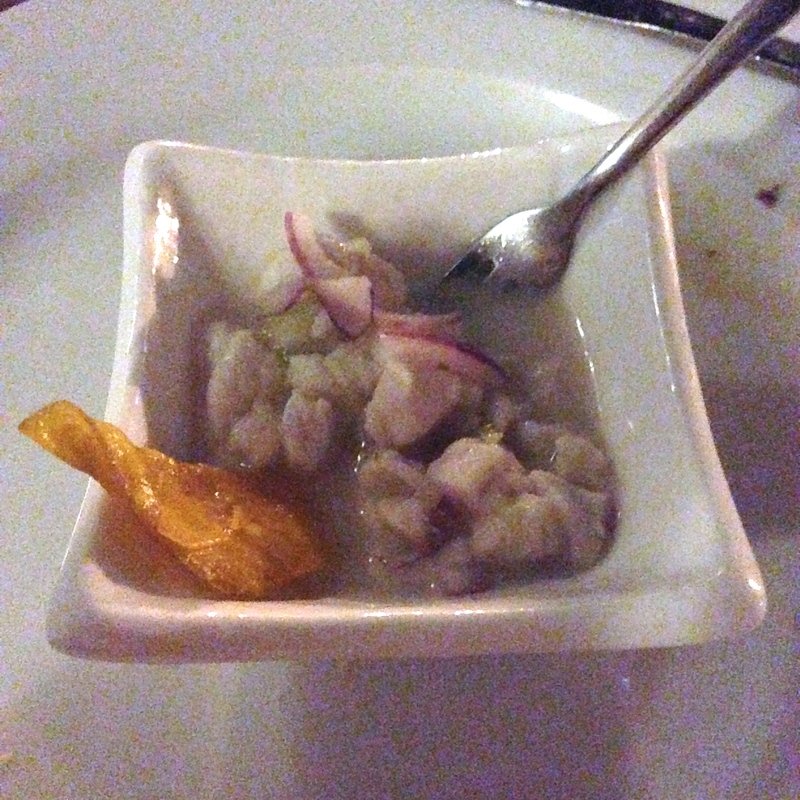 And this red snapper ceviche, which was my favorite course. This place is not to be missed. $41 a person for 8 courses. We only had two meals in Panama City. The first night and the last night. Brio Brasserie is in the hotel where we stayed. It was a long day of flying. The place came highly recommended and we were tired. The service was impeccable, they were super patient as I practiced my spanish and tried some local rum. We had the beet salad, which was light and refreshing. The next course was the Lobster lasagna, light fresh made lasagna noodles with a cream sauce and local langosta. I almost wanted to order a second one. Have you been? Leave me some suggestions, because I will definitely be back. This entry was posted in Best Restaurants, Detour. Bookmark the permalink.